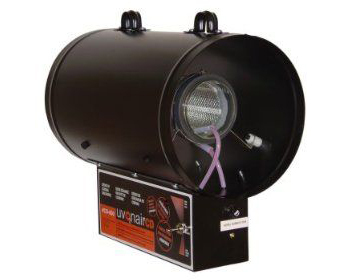 The UVOnAir in-tube Ozone generator produces ozone (O³) which oxidizes particulates in the air, these being destroyed and afterwards decomposed to oxygen. Ozone is the element with the second highest exidation potential and reacts with almost all substances which it meets. Can be operated in two levels.